Pricing for bike rental in Key West. Locks, lights, helmets all included for free. Multi day discounts available and group discount pricing. Bicycles for rent, all kinds, Key West bikes for adults, children and families. 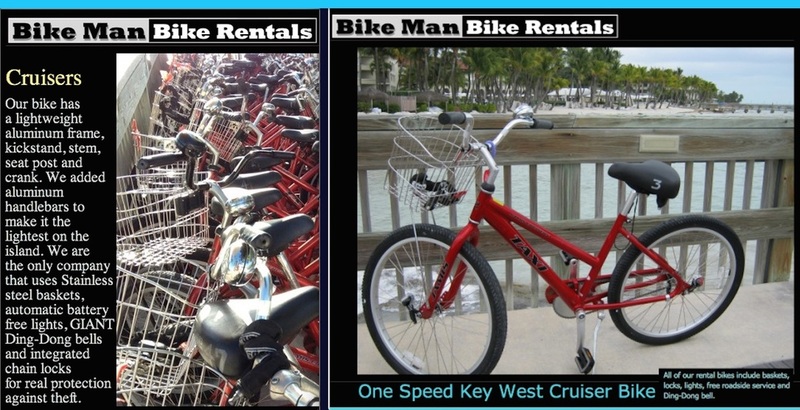 Key West bike rental options for adults, bikes for kids and families with children.